[Feature] How good will Bayonetta’s next port be? *Note from the Editor: Say “Hello” to James Baldwin everyone. He’s one of the newest writers to grace our site and with this being the final day of #BayonettaWeek, we’re passing the baton to him and Stephen Brooks to take us out. Happy reading! 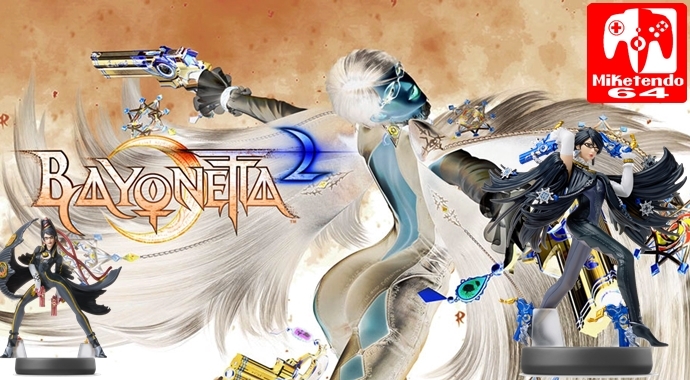 Bayonetta 2 arrived on Nintendo’s failed console, the Wii U, in October 2014. I remember it well, even though I was young, the hype around the game was something admirable in a time that was looking worse and worse for Nintendo. The Wii U died a sad death in March last year when what would most likely be the best game that released on the system fell – The Legend of Zelda: Breath of the Wild – and it passed on the baton to Nintendo’s next console, the Switch. In fact, a 4x100m relay is quite a good comparison to use with Nintendo; the Wii U was a slow runner, for sure. But the Switch has caught the company right back up with the leaders. We are not even a year into the Switch’s lifetime and we’ve already had absolute quality titles including the likes of Breath of the Wild, Super Mario Odyssey, Mario + Rabbids: Kingdom Battle, to name a few. But we have a lot more coming and what better way than to give Bayonetta 2 another chance on the shelves? Whilst I remember the hype being higher for when it did originally release for the Wii U, this is most likely because it was a brand-new game. Platinum also unveiled Bayonetta 3 at the same time that they unveiled the 1+2 bundle for Switch, so it is ideal that for the most part, those that buy 3 will also buy 1+2. So, Bayonetta 2 is an improved port over to the Switch, however, it is still important. Mario Kart 8 Deluxe has had big sales on Switch. Another title to come directly over from the Wii U would be Splatoon 2, being a sequel, but with similar attributes to it which mean that it could count as a port, to some extent. Bayonetta 2 is the third “direct” port which will come to Switch, and being a huge game on Wii U, it is bound to be even bigger on Switch; and with so many new features, similarly to Splatoon 2, there is no way it can be even considered to be the same game. It has a score of 91 on Metacritic, which if you don’t know, means very good. For both other games I mentioned (from the jump from Wii U to Switch), their Metacritic score was improved upon what was already a strong score. Could this mean that the bundle will be even better than the Wii U version? As it is confirmed that Switch versions both run at 720p with improved framerates over both Wii U versions, with Bayonetta 2 being considerable more so, it could go even higher. What is most important about Bayonetta making the jump to Switch, however, is for the new players to try it out. I never had a Wii U, as I preferred to save my money for Nintendo’s next console – which is now indeed the Switch. I have it, and I have played games, which I didn’t originally get the chance to play on its predecessor. I am ready to pick up Bayonetta 2. And, bearing in mind that the Switch has already overtaken Wii U’s lifetime sales, many other players will be feeling the same. I still remember that feeling in October 2014, when everyone was very hyped up for the next game in Platinum’s series, and even I was getting a little excited to see people content with it, even though I would not play it. It is now coming to Switch, and with Bayonetta 3 on the horizon, this double coming to Switch 11 months into its life is a handy thing for all of us. What was certainly one of the best games to come to the dead console, is just days away from a Switch launch, which is creating excitement. With so many other games on Switch, adding another of the best Wii U titles to the console will not do harm. It’s a huge move. And a good one at that.